Inspired by ancient modes of storytelling, comic strip compositions, and the grit of 1970s street art, David (Lebo) Le Batard surrenders his artwork to the sum of history. 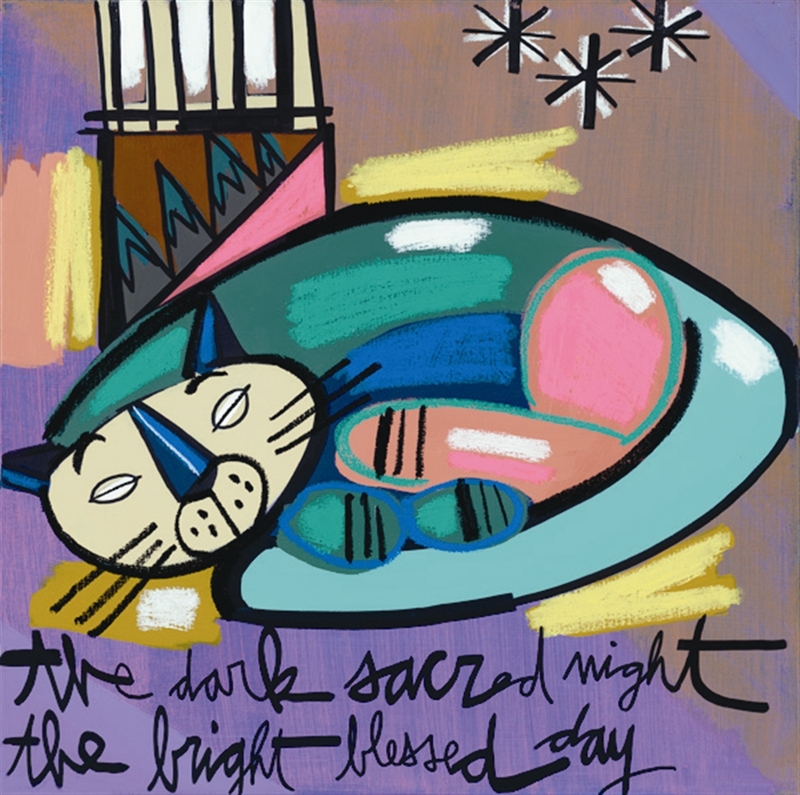 The Cuban-American artist is internationally recognized for his unique style—Postmodern Cartoon Expressionism—which harmonizes calligraphy, cartoons, indigenous art, mythology, and modern melody. David Le Batard—also known as Lebo—was born in New York City in 1972 to Cuban immigrant parents. He was raised in South Florida, surrounded by Cuban art, which had a great influence on his artistic style. 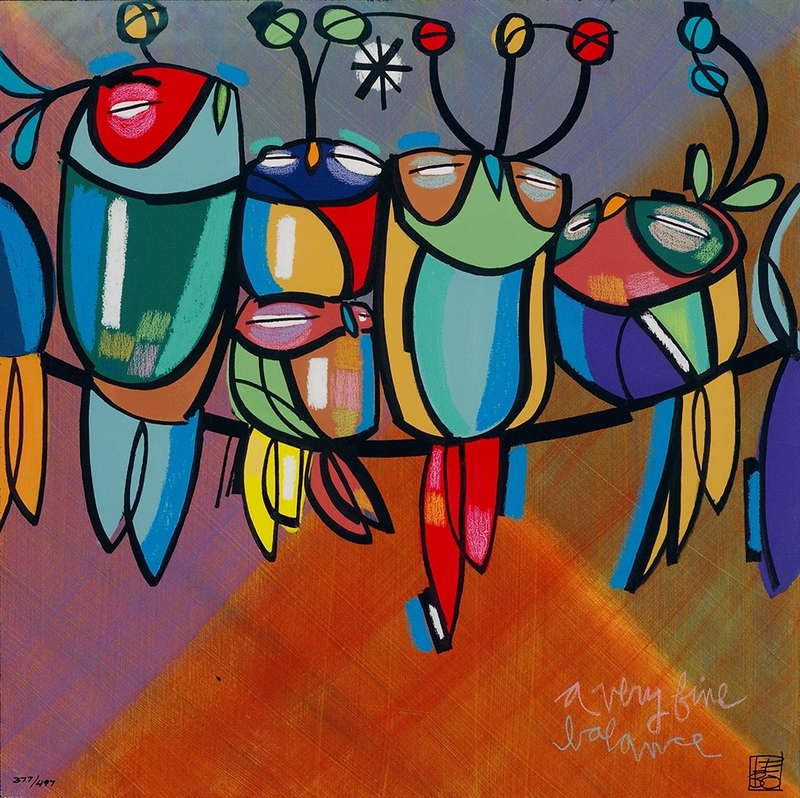 Starting in childhood, Lebo was fascinated by cartoons and creating artwork of his own. While in school, he dedicated his free time to teaching himself to draw and learning different forms of art such as archaic brush techniques, ancient calligraphy, and classic cartoon drawing. In 1995, Lebo graduated from Florida International University and took residency at the International Museum of Cartoon Art in Boca Raton, Florida, lecturing on the practical and technical approaches of illustration. During this time, he began looking for ways to work on his art in a more social setting rather than alone in his studio. This led him to work during his friend’s band practices; he found that this atmosphere brought his work to a new creative level. Lebo’s rise to success began in 1996 during his first public exhibit at Johnson & Wales University. Since then, he has exhibited at a wide variety of events and venues. Heavily inspired by music and the music scene, Lebo has participated in many live-art performances, painting on stage and bringing the music to life. He has painted alongside many headlining musical talents, including The Beastie Boys. 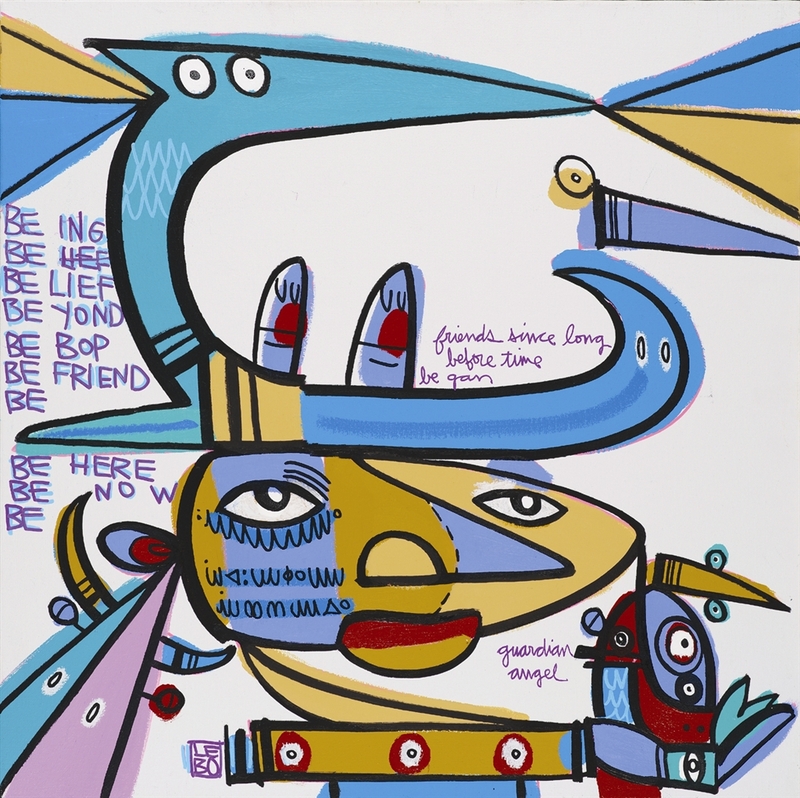 Lebo refers to his artistic style as “Postmodern Cartoon Expressionism,” combining abstract imagery, cartoon drawing, bold hues, and calligraphy together in a narrative style to convey emotion and story. A scholar and visual storyteller in his own right, Lebo integrates symbols and prophetic turns of phrase into his artwork as a way to parallel antiquity and modernity. Lebo often speaks toward his allegiance to postmodern philosophy, which asserts that history is continuous. The Miami resident pieces together a myriad of historic and cross-cultural narratives in each of his works, establishing the notion that culture is linked through time, not separated by it. His artistic style is characterized by gestural lines, condensed fields of color, and an inexplicable graphic edge. By playfully interpreting sentiments of inner peace, mindfulness, and spiritual enlightenment, Lebo’s artwork acts as a vehicle for something otherworldly. In 2003, Lebo created the official artwork for the Latin Grammy Awards. 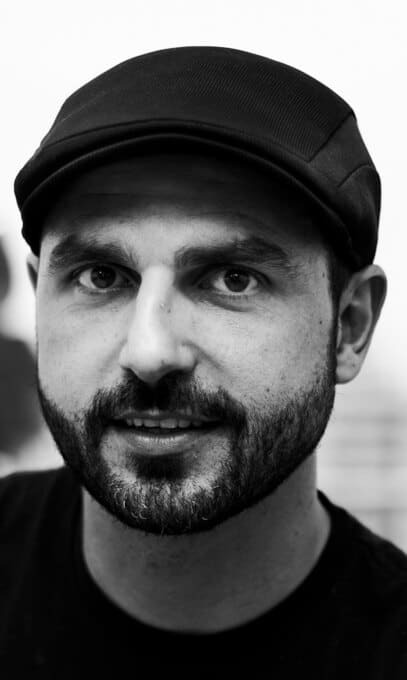 He has created many private and publicly sponsored mural installations including works in Wynwood, Florida, Calle Ocho, The American Airlines Arena—home to the Miami Heat, Hart Plaza in Detroit, Orleans Parish Juvenile Courthouse and the Hotel des Artes, San Francisco. Lebo’s art can be found in the permanent collections of companies such as Bacardi USA, Ferrari, National Academy of Recording Arts and Sciences, San Francisco Sentry, Sony Music Entertainment, Universal Music Group, Red Bull USA, William Morris Agency, Art Publishing Ltd and Gibson Guitar Corp. He has additionally worked with brands like Adidas, ESPN, Google, Harley Davidson, Lululemon, Macy’s Inc., Microsoft and Simon & Schuster. He was commissioned to paint the hull artwork for the cruise ship Norwegian Getaway, launched in January 2014. Lebo was also commissioned by Telemundo Deportes to paint a mural, located in Miami’s iconic Wynwood Art District, celebrating the Final Draw for the 2018 FIFA World Cup. To learn more about Lebo, you can visit the artist’s website.